May 17th, Beijing, China National Conference Hall. 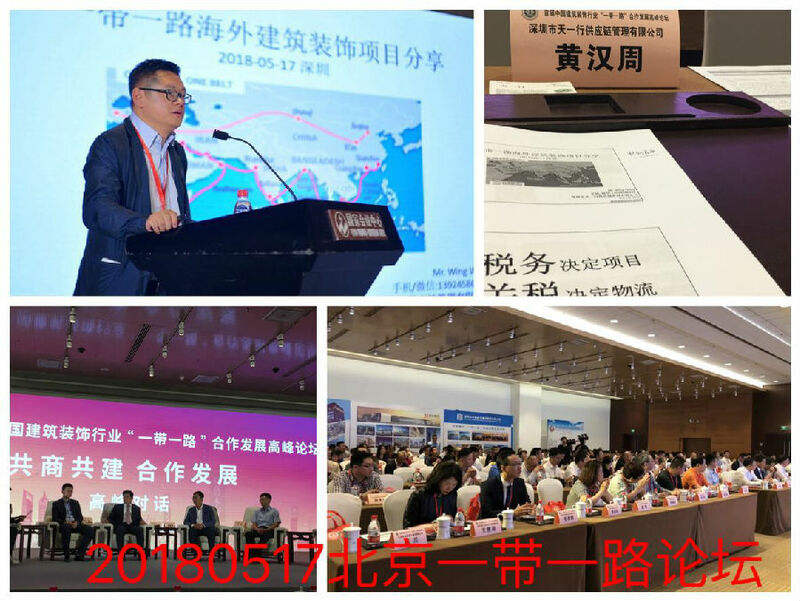 ICL is the keynote speaker in "One Belt One Road Forum" organized by China Construction and Decoration Associate. It is a national wide platform and ICL share expereince on overseas project supply chain. ICL will keep providing financing,export, logistic and import service to projects in One Belt One Road countries.